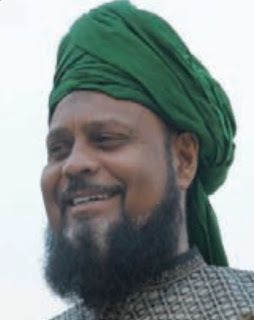 In his Friday Sermon of 01 February 2019~ 25 Jamadi’ul Awwal 1440 AH, Imam-Jamaat Ul Sahih Al Islam, Hazrat Muhyi-ud-Din Al Khalifatullah Munir Ahmad Azim Saheb (atba) of Mauritius profoundly reflects upon certain interesting Divine Signs of our times. Based on Qur'anic prophecies and the Holy Prophet's own teachings, the Later Days is the era of extraordinary developments, marking the advent of great transformations that will 'disrupt' the existing ways and 'flatten' the world, destroying the elite privileges and artificial barriers at every level of societal stratification. Thanks to breath-taking changes in transportation mechanisms and communication technologies in our times, different classes, nations and peoples are brought together more than ever before. In this age of the Internet, all the world is virtually reduced to our finger-tips! Hence, unlike the past, ideas and images travel swiftly across the world and it is now possible to reach out and share the Divine message to people everywhere, Alhamdulillah. 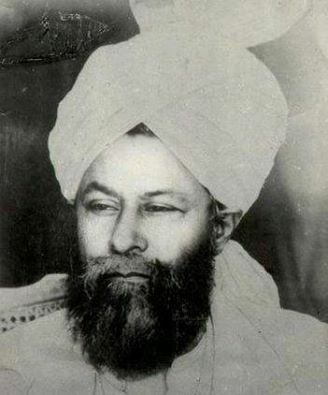 On 07 January 1938, speaking on the occasion of the installation of loudspeakers at the Mosques in Qadian, the far-sighted second caliph of the Jamaat-e-Ahmadiyya, Hazrat Mirza Bashir-ud-Din Mahmud Ahmad (ra), underscored the importance of technical advancements as a means of bringing people together and he went on to virtually predict the advent of a time of technological progress when a single person sitting somewhere will be able to communicate and conduct his business globally and thereby it would become possible to spread the message of Islam across the world in an easier way through such developments. In this context, the establishment of the MTA International commencing its operations from Mauritius on 07 January 1994 was an important event in the annals of the Jamaat-e-Ahmadiyya. The then (fourth) caliph Hazrat Mirza Tahir Ahmad Saheb profoundly understood the significance of the moment and the opportunity MTA represents for the community. He recalled the prescient words of the second caliph on the occasion as he believed that the time to spread the teachings of Islam-Ahmadiyya around the globe arrived, with the satellite broadcasting channel in place. Anticipating the promised "victory" of Islam-Ahmadiyya in the second century of the Jamaat (1889-1989; 1989-), the fourth caliph even unleashed a programme of global bai'at, setting targets for the rank and file to convert the whole world. As it happened, afraid as they were to speak truth of the situation to the caliph, the Nizam-e-Jamaat 'cooked the books' to reach the figures their 'boss' wanted to see and thereby perpetuated a culture of caliph-worship in the Nizam-e-Jamaat, creating a permanent crisis of credibility in its functioning 'methods'. Consider the searing paradox here: on the one hand, the caliph projected the Nizam- 'establishment'- as the true 'heirs' of the Promised Messiah (as) for all times; yet, he ended up presiding over the destruction of the fair name and legacy of the institution. Allah (swt) raising an Elect of His choice would upset and 'disrupt' the 'order' (the system of elected, infallible leadership) in the Jamaat. Hence, exaggerating the 'ego' of the elected chiefs of the Jamaat, the caliph propagated that only a man-elected caliph could be the Divine Elect in future. Despite his line of thinking and public pronouncements, the caliph also understood that the All-Powerful and Exalted Allah (swt) might raise someone, anyone He chooses at a place of His choice, especially at the beginning of a new century of the Jamaat. The ambitious caliph did seem to have wished, and he certainly asked the Jamaat in so many words on the occasion of the annual Jalsa in the year 2000 CE, that everyone pray for him to be elevated as the "Mubarak Wajood "('blessed person'), like mentioned in the prophecies of the Promised Massih (as). Allah does what He will. Despite the caliph's ambitious plans and his arrogant pronouncements on Divine Decisions concerning the raising of a reformer in the Jamaat in the new century, the trajectory of Divine blessings and favours shifted in this era, with the advent of a man who speaks with the help of Ruh-il-Quddus, like prophesied by the Promised Massih (as) himself in his testamentary declaration, Al Wassiyat. Indeed, Allah (swt) in His infinite wisdom, used the most disruptive of technologies of communication the humans have ever known- "Ruh-il-Quddus"- to destroy the man-invented and exaggerated notions of Khilafat-e-Ahmadiyya and rebuild the edifice of the Divine Order of His Elects guiding humanity till the Day of Judgement, by raising a humble servant of the faith in this era- a spiritual progeny of the Promised Massih (as) himself- Hazrat Munir Ahmad Azim Saheb (atba) of Mauritius, Alhamdulillah. Like the Promised Messiah (as) also points out, despite the persecution- with "millions stand(ing) up against them", the caravan of the Divine Elect (atba) will continue to straddle the world with His Message, Insha-Allah, Aameen. The Divine signs narrated here calls for deeper reflection by those who use their minds- including truth seekers among the Ahmadis. In this era when the world is 'flat', the old order of special claims- of inherited family legacy and infallible authority of tribal chieftains (think of the Ahmadiyya Khilafat today)- are out of sync with the times and are bound to vanish. In the new order of God on earth, everywhere- both materially and spiritually speaking- 'the underclass', i.e., those who were previously looked down upon, truly humble people are to inherit the earth: Indeed, the Divine favour of prophethood and sovereignty is being bestowed upon a new class of people in the Jamaat-e-Ahmadiyya as well- through the advent of the Divine Manifestation in Mauritius, Alhamdulillah, Allah-u-Akbar! “And it is not for a soul to believe except by permission of Allah, and He will place defilement upon those who will not use reason.” (Yunus 10 : 101). Alhamdulillah, Summa Alhamdulillah, Allah shows His signs in extraordinary ways. Sometimes in simple and unimaginable things. He can show His signs in a grand way. Certainly Allah guides whom He wills to the right path, and when He guides His servants, He opens for them the door of spiritual knowledge and makes them understand even a thing that seems simple and unimportant and He makes them see its importance.